Soothing Views – Sue's Views. Do you ever wonder if you’re supposed to be somewhere? I mean, do you ever find yourself some place and just know that you were meant to be in that very spot, that very day? 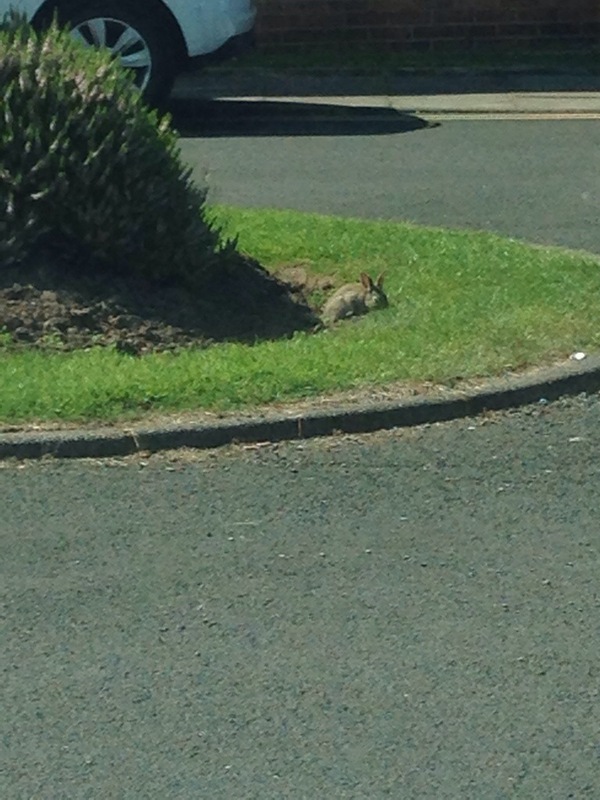 Today I am really busy, but in the midst of that busyness I have found myself watching a young rabbit hopping about a flower bed in a busy car park at a busy clinic. This particular clinic is just outside of the city and not far from the motorway. It has beautiful gardens that are very well maintained. The clinic has several departments running there, my husband was attending physiotherapy. I always wait in the car because the building where they do the physio is always so hot. I never reverse park, because I have arthritis in my neck and can’t turn it sufficiently to see what I’m doing. Today, however, I decided to reverse park as it was almost a straight drive back into the space. I’m really glad I did this because I spent around 15 minutes watching this little bunny, hopping around and munching on grass. I felt quite peaceful afterwards; a calming, soothing influence in a hugely stressful day. Taking a few minutes to take in the nature around us is sometimes the soul soother we need in our hectic lives.